In Focus, rockin’ and rollin’ with our third edition of the article featuring Bobby Holman. 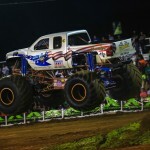 Bobby has been campaigning the Holman’s Beast for years, has run the Lucas Oil Stabilizer and is in the process of expanding from two trucks to a four truck team. We’ve caught up for a moment to sit down with him and we’re going to talk about some of the highlights, his career and the evolution of the industry. Hopefully, you’ll enjoy it. Chris Parrish: Bobby, so, you’ve been in the sport for awhile, how long has it been? Bobby Holman: It will be 26 years, this year. CP: How did you actually get started in the industry? BH: It basically started with big trucks, 4 wheel drives and my dad raced mud bogs. Stuff like that. I met Bob Chandler (Bigfoot) down at Gravelrama years ago. Actually, I’ve got pictures of my truck a foot taller than his truck. Once we started getting into this, we kept going down to Gravelrama and seeing him, so kind of went from there to “I can do that and I can do that, too.” So, that’s how we got into it. BH: That’s all it was. 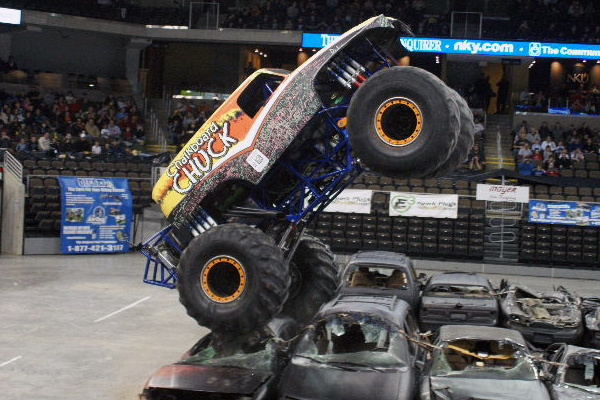 My truck is bigger than your truck, I’ve got more shocks, I’ve got more lights, I’ve got this, I’ve got that. That’s what it was all about. BH: Exactly. We didn’t know where it would go. If you’d have told me back then that we’re doing the stuff that we’re doing now, I’d have told you that you’re crazy, not in a monster truck. CP: When did you actually build that first Holman’s Beast? BH: That was 1984. I built the first truck. CP: I guess everything was in house design? BH: Oh yeah, that was originally the truck I drove to high school. A 1973 3/4 ton Chevy truck with a small block. 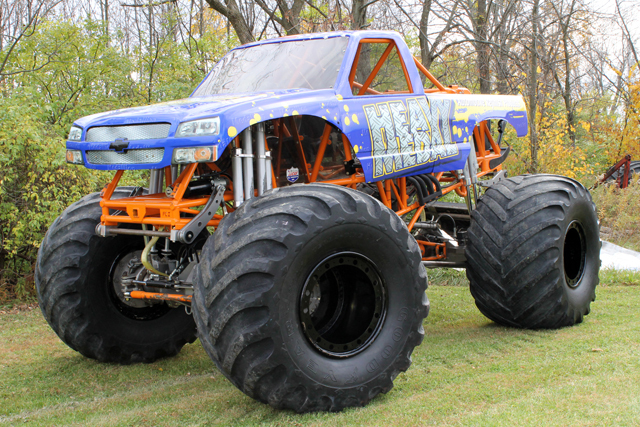 We decided we were going to put a set of 52″ tall tires on and do a car show. Then we’d seen Chandler and those guys had come out with 66’s and decided we needed to do that and we did. CP: A unique aspect of your truck, you put the Holman’s designation in front of it and made it Holman’s Beast. Why? BH: There were a couple of other Beasts running around back then. I actually got into a lawsuit with one of the guys, so my attorney told me to put your name in front of it and that’s all you have to do. So, that’s the way Holman’s Beast came about. CP: Do you remember your first event with the truck? BH: Oh, absolutely. It was Columbus, OH, the Ohio State Fairgrounds. We did a mud bog out there. We had actually built the truck and never driven it. A buddy of mine had a tow truck company and he pulled two cars down in front of our shop. We ran over them the night before the show. Broke a knuckle off the 2.5 tons we had. We fixed the knuckle, loaded her up went and did the little show at the fairgrounds. That was the first time. CP: And you didn’t break another knuckle off or anything? BH: No, but we broke all four axles. CP: So, when did five-tons come around then? BH: Oh, right after that. We did two other shows, and said, “We’ve got to get rid of this.” By then, we got a hold of Chandler and the other guys and found out that they were using five-tons. We knew Mark Boyce, so he sent us our first set of five-tons. CP: You’ve run two trucks for a long time and recently expanded to 4 trucks. What was the reasoning behind that? BH: We’ve just had the opportunity. We’ve been working with Family Events. They approached us actually wanting to know if we’d be interested in doing something like that. They had a good program, had a good idea, so that’s what we did. Dan and Chris Patrick have helped us out immensely, building the chassis for us. If it wasn’t for those guys, we probably wouldn’t have gotten this thing done. We just didn’t have time to build them ourselves, or we would have built them in house. Patrick’s pieces are great, can’t get much better. A lot of people came together on this to get it done. We still don’t have the other truck done. Its on its way. Once we get the truck done its going to be a really good deal. It was a good opportunity for us. I wanted to have 4 trucks, I just didn’t want to have them this quick. We planned on building one this year and one the year after that. But, when opportunity knocks, sometimes you’ve got to open the door. 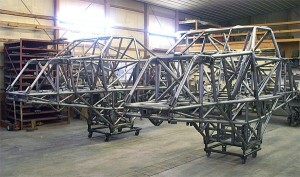 Two beautiful new Patrick Enterprises chassis ready for delivery to Team Beast (photo courtesy Samson4x4.com). CP: You’ve mentioned that you had the Patricks build your truck, to what degree did they build the truck for you? Was it a turn key? BH: No, he built the chassis for us, he built the rear end housings, we’re running his shocks, a lot of his parts – axle shafts, stuff like that. We put the trucks together at the shop. Fowler Engines in Columbus built the motors for us. We built the trannies in house, obviously put the planetaries and stuff together. If it wasn’t for Dan and those guys, we’d have had a hard time doing it this quick. CP: Tell us a little bit about the new trucks. BH: Star Marshall and Chalkboard Chuck, the bodies are actually the idea from Family Events. They wanted to do this kind of interactive stuff. The chalkboard truck deal came up, I wasn’t really fond of it at first. I wasn’t really fond of all of them at first, but once we got into it, we knew the bodies were going to be kind of weird that’s what they were kind of looking for. 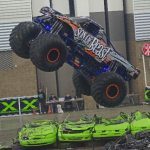 These trucks were geared for the kids, and the kids have responded well to them at each show. You were here last night, and you saw a massive amount of people around Chalkboard Chuck. We didn’t think it would take off like it did, but it has. The bodies are basically my trucks, bodies are theirs, we’re running their concepts. It was just an idea to get the fans more involved in the trucks, to get novelties involved with it. So far, it has worked out great. The new Star Marshal concept truck from Family Events (photo courtesy Paul Harry). CP: Chalkboard’s got a face only a mother could love, but the fans are eating it up. BH: Fans are absolutely eating it up. When we did the chalkboard thing, Matthew, that worked for Family Events, said, “Hey let’s put a face on it!” We thought, “Eeehhh?” We didn’t want to get that Mater-looking thing, but we put the eye balls on there and he came up with the tongue, so I said, “Well, you might as well put teeth on it now.” It’s a goofy looking thing, but the kids love it. They absolutely love it! The truck that wants your autograph, Chalkboard Chuck (photo courtesy Paul Harry). CP: It fits the rest of the character. BH: When we get the other chassis done, the Chalkboard body is going to go on the new chassis. We’re going to go back with the Iron Man, we’ve got another sponsor for Iron Man. It’s going to be a cool deal when we get done. We’re going to completely revamp the Iron Man deal. These trucks, once they catch on, are going to be really cool. Everywhere we’ve gone so far, the fans love them, kids love them. Everybody’s happy with them. CP: So, Ironman will remain Ironman? BH: Right, just a different version of it. We’ve got a sponsor, I can’t really say anything right now, because we’re working on the deal right now. It’s going to be a really cool deal, it will still support our armed forces, all our men and women doing that, but it’s going to be heavily involved with the armed forces now. It’s going to be a neat deal. CP: Many motor sports teams have tried expansion and you’ve seen it in Nascar frequently, some have had growing pains, some have been really successful right off the bat. How do you try to minimize the issues and maximize the performance? BH: It’s tough. It’s really been a tough deal transitioning from two trucks to four trucks. The least of the problems is that you’ve got to have four of everything: the man power, getting drivers, getting people to work. It has been tough, we had a pretty good system down for keeping two trucks on the road and keeping it together and now we’re doing four. It’s tough, it really is. Once we get a system down and get all of the bugs worked out of our system, I think we’ll be ok. We’ve got good people. My brother is driving one truck. Unfortunately, he’s sick right now, so we’ve put Dave (Radzierez) in Star Marshall. He’s going to eventually be driving Chalkboard Chuck and Jeff (Hatton) has been working for us for years. 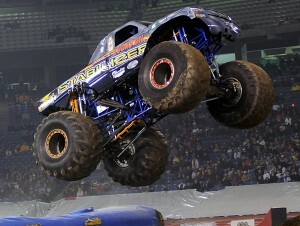 Hatton, he’s going to be driving the Iron Man truck when we get that new sponsor and everything set. We’ve got good people in place, we’ve just got to find our groove. Once we get in there, I think we’ll be ok.
CP: Tell us about trying to maintain the trucks and also how did you select your new crew and new drivers? 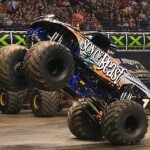 BH: My brother has been wanting to get back in to monster trucks. He drove for me years ago, had some health issues and finally got to a point where he was allowed to drive again. I mentioned that he was in the hospital, this was nothing related to the trucks, just got sick. He’s out of the hospital and everything and taking his time getting better. He wanted to drive, so that’s why I wanted to put him back in there. It’s good to have your family around. Jeff Hatton is a kid I’ve known since he was seven years old. He was always coming around the shop, always working around the trucks, always wanted to have a chance, so we’ve given him a chance. I met Dave about a year ago through the Jamborees and Family Events. I just hit it off with Dave and Michelle, they’re good people, Dave’s a good driver. I thought he’d like to have a chance and he jumped on it, so we’ve got deals going with him, with the diesel trucks. We’ve got some stuff coming up with it too, we’ll let you guys know about it when it comes along, but we’ve got a lot of things coming, a lot of things cooking right now. 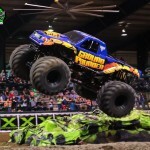 CP: You’ve mentioned family, how does the monster truck industry impact your family? BH: My kids have been around it since they were born, so it’s nothing new to them, but it’s hard on your family. When the kids were young, I’d take them with me, but now they’ve got to stay in school. My daughter is starting college and she’s thinking about joining the Navy. Cody, my boy, he’s only 15, so he’s eating it up, but he’s got to go to school. My wife, she supports us 100%, but it’s tough when you’re away from your family. We don’t do the go-out-for-three-to-four-months stuff or even three to four weeks at a time anymore. We just don’t do it. When you don’t have your family behind you, it gets even harder than what it already is. We try to keep them all involved. My dad still comes into the shop every now and then. We try to keep the family involved on every level. CP: Does Cody have any plans to continue, follow Dad into the sport? BH: Absolutely. If he doesn’t, Dad does. Dad’s getting a little old, so we’re going to put next generation in there. Not only do I have him, but I have a nephew that’s interested in driving, too. We’re grooming these kids to know how to work on these trucks. I don’t ever put anyone in these trucks that don’t know how to work them. Everybody that probably owns a truck will tell you that. Some of the best drivers were the best mechanics. So that’s what we’re doing, we’re grooming these kids. They get in there and they know the trucks and then if they want to do it, they do it. If they don’t, they don’t. That’s what we’re giving the opportunity for. CP: In your works with Family Events, you’ve acquired the Lucas Oil Stabilizer, a great Lucas Oil sponsorship. They seem to get along really well with you. Tell us about that. BH: They’re great people to work for. Not only the people from Family Events, but the people from Lucas. Lucas is a great company to work for and we’ve never had an issue with them. They sponsor other trucks and everything, but we don’t let that get in the middle of anything because they do so many different things, different levels, different motorsports. They’re happy with us and we’re pleased to death with them. It was a match made in heaven for us. The original Lucas Oil Stabilizer paint scheme, the team has since updated to a brand new scheme for 2011. CP: Do you find any additional stress trying to perform to a level that really pleases the sponsors? BH: Oh, absolutely. When you’re a sponsor truck and you’ve got Lucas Oil everywhere, you want to run good. Things happen, stuff breaks, but you’re expected to run at that level whether you’re running Monster Jam, Family Events or whatever. You do your thing, but you’ve got to keep that name out there, you’ve got to keep it up and they expect you to do that. CP: Switching gears, how many Beast chassis have there been? BH: There have been 12, this one (Currently the Lucas Oil Stabilizer) is number 12. All of them ran the same name, different steel bodies, fiberglass bodies, but we’ve built twelve different Beast trucks. CP: Wow, you’ve been busy in the shop. Actually, speaking of the shop, what do you do? You don’t do this full time, you’ve got a job during the week. BH: We run a 4-wheel drive shop up in Dayton. 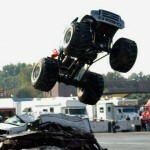 We build chassis for Jeeps, lift kits, motor work. With Dave(Radzierez) coming on, we’re actually expanding our diesel services now. So, we’re going to get in on that. We’re pretty busy. The ultimate goal is to not have to do that. 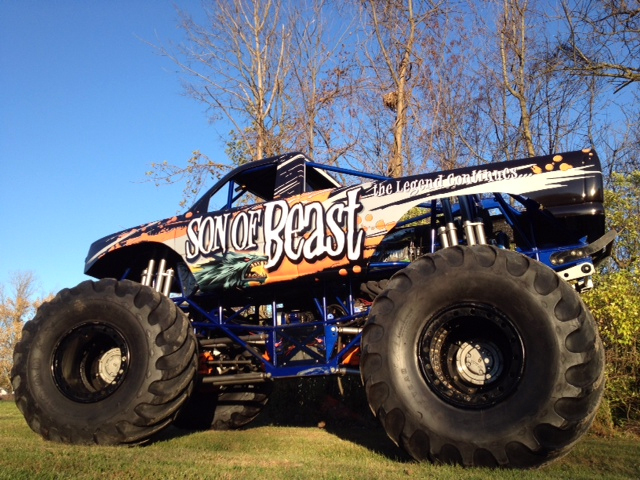 We’d rather go out and play with our monster trucks. That’s why we expanded the shop. We put 3600 feet in the back of the shop, so that we could put all the monster trucks back in the back and have the 4-wheel drive stuff out in the front. It’s a good thing, even when you’re doing something you love doing, every now and then you get burned out on it. So, sometimes we like to go back to the shop and work on customer stuff. We get our own trucks and our own jeeps and go out and play. It’s relaxing for us and it gives us a break from doing this. CP: It sounds like you’ve got a lot of busy time. What do you do in your free time? BH: Most of the time, we just spend it with family. There for a while, we were coaching soccer. Cody was playing soccer. I was actually the president of the SAY Soccer down there. It was pretty cool, we sponsored it, sponsored a soccer team, even brought the truck in to have team photos taken with it. It was awesome, the kids loved it. Right now we’re just kind of in the family thing. Whatever free time we have, we spend it with them. CP: Do you have any personal hobbies? BH: The rest of the family hunts, I don’t know what it is with them. I like nature and everything, but I can’t see standing up in a tree having a deer laugh at me. 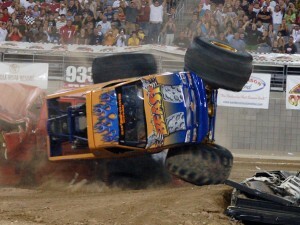 I just say when you do something as long as we’ve done with these monster trucks, it’s kind of like your hobby. I like being out in the shop. A lot of times I just go out in the shop by myself. Lock all the doors, tinker around on the trucks. Think of ideas and stuff we want to change. That’s the way we do it. CP: Are you a general motor sports fan? BH: Oh yeah! Absolutely! Anything you can race. 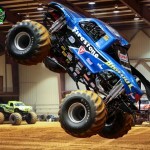 CP: What does monster truck driver, Bobby Holman, drive during the week? BH: I’ve got a ‘98 Chevy extended cab, it’s got 14″ of lift and 40″ tires. Gets about 12 miles per gallon. 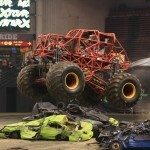 I’m all die hard monster truck, one way or another. CP: One thing we’ve noticed, we’ve never seen you run Monster Jam? Why is that? BH: We’ve just never been available to do that kind of stuff. I’ve been lucky throughout my career, working with Checkered Flag, Torgersons, all those guys, we’ve always been busy. Not that we wouldn’t want to, but it’s just to the point that we’re comfortable with who we’re working with now. It’s a steady deal. I won’t kid anyone, it would be tough running with those guys. Some of the stuff they do, running with company trucks, it’s hard for an independent to keep up. Guys like (Jim) Koehler and those guys doing that, hats off to them. That’s a big deal all in itself. If it happens one day, it happens, if it doesn’t, we’ll just keep doing our thing. CP: Do you have a proudest moment in your career, it’s been a long career, so there may be a lot of moments. BH: One of the proudest moments we had, we actually beat Bigfoot three days in a row and it was Dan (Runte) running. That was a pretty proud moment. BH: Salisbury, MD. We’ve had a lot of proud moments. Getting to race with a lot of these guys, a lot of our good friends. Rick Long, all these guys (with Monster Nationals). I’ve seen people come and go, we’ve had good friends come and go, we’ve lost some good friends. It’s been a great ride for me. If it ended tomorrow, I couldn’t complain. CP: We’ve touched on the proud moments, do you have any Bobby Holman blunders? BH: Oh yeah…I’ll never forget it, we were in Montana, I rolled the truck over doing donuts the first night. 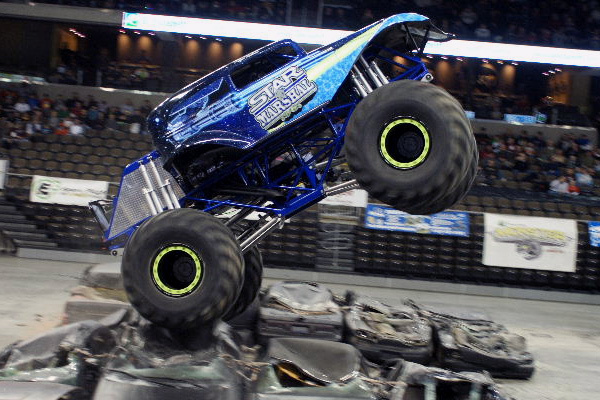 It was one of George’s (The late George Eisenhart creator of Monster Nationals) shows. It was right in the beginning when everyone was talking about wheel tethers. We flopped the thing over. It got tore up pretty bad. We flopped it over, came out the next night, made the first big jump, landed, and snap the front wheel off. It’s bad enough to rip the wheel off, but we rolled the truck over again. Then I found out my own wheel smashed my tool box. Brand new toolbox, my wife bought it for me for Christmas. There she lay, as flat as a pancake. CP: You have 12 chassis, do you have a favorite? BH: It’s this one, (the current Lucas Oil Stabilizer) without a doubt. This and my personal truck are my best trucks. I feel really good in this truck. When we built these two new chassis, everyone said, “Oh he’s going to jump in that new chassis.” No, I’m going to keep this one. This is my baby, here. CP: You’ve seen a lot of advancement through your career. What do you think the biggest advancement in the sport has been? BH: It’s the shocks, no doubt. It’s amazing how far they’ve come from the “I’ve-got-4-inches-of-wheel-travel, I’m-bad” days. I’ve got almost three feet now. It’s amazing the shock technology that’s come along and it’s awesome to see it keep growing, because it’s not done yet. 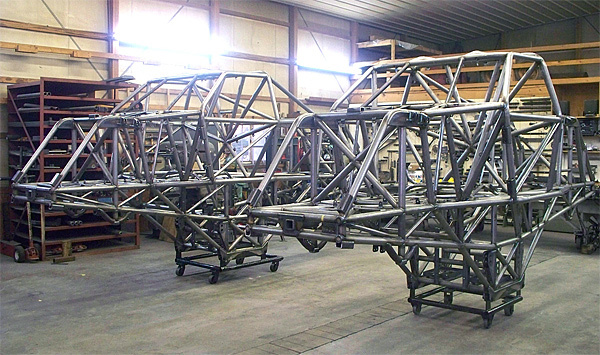 With the chassis we’ve got that can do the stuff we do and the stuff you see on TV. It’s nothing short of amazing. CP: Where do you see the sport going from here? BH: You know, everybody asks me that and I don’t know. I’d say 20 years ago, or 15 years ago, if you’d have said we’re going to be doing the jumps we’re doing and doing the crazy stuff we see now, jumping over airplanes, I’d have said, “You’re nuts!” It just keeps getting better and better. The only thing I hope for is that the safety and the driver keeps pace with the technology of the truck. You can build a pretty bulletproof truck, but you can’t do much for a driver. So, with the seats and the harnesses and the HANS device, I hope it keeps in pace with the trucks. CP: What do you think is the biggest challenge in getting into the sport and staying in the sport is? BH: The thing about monster trucks now is that it’s almost come to the point where if you have enough money, you can get into monster trucks. 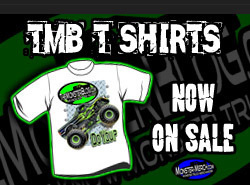 That doesn’t mean you have enough sense to stay in monster trucks, but if you’ve got enough money, you can get in it. With guys like Patrick, with Pablo, all these guys building chassis and stuff, it’s easy to get into the sport. I think a lot of people get into it with the misconception that it’s easy to stay in it. One hundred and eighty five thousand to two hundred thousand dollars is a lot of money, but get done running it up and down the road for a year and see how much money you’ve got left. That’s the biggest thing. CP: We’ve talked about Cody entering the sport, how long do you plan being involved in this sport? BH: I want to keep doing it as long as I can. With things that happen to us, with some of the losses we’ve had, especially with George’s accident, we kind of got burned out on it, I was about done. When Cody came along and I saw what he wanted to do, it just makes you want to keep doing it. We also got involved with Family Events, like I said, they’re good people to work for, they understand what’s going on. It makes it a lot easier when you’re doing this with friends. CP: He’s a monster trucker through and through. Bobby Holman, thank you for your time, thank you for sitting down with us. It’s always great to catch a little insight from someone who has as much experience in the industry as you do. BH: No problem, buddy, anytime. 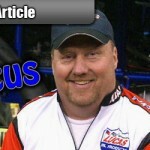 Thanks for reading another edition of In Focus, a big thanks to Bobby Holman for sitting down with us. Stay tuned next month for another in depth interview with one of the sport’s major personalities. 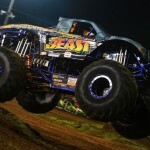 With the calendars now turned to 2011, the start of the new season is less than a week away and work is progressing feverishly at the Team Beast shop in Ohio. 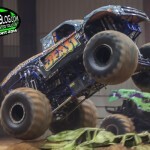 One of the big stories of the off season is the major expansion of veteran monster truck competitor Bobby Holman’s Team Beast as they add two brand new trucks in preparation for the 2011 Monster Nationals indoor season. Team Beast took delivery of two brand new Patrick Enterprises chassis right around Thanksgiving and work has been going on 24/7 to complete the build of the new trucks which will be ran as Star Marshall and Chalkboard Chuck. The new Patrick chassis trucks are an addition to the custom Holman built chassis ran on Lucas Oil Stabilizer and Ironman. The concept for the new Star Marshall truck is themed around a fun, kid-friendly sheriff character. “He’s a good guy with a bad attitude, a real Clint Eastwood type,” said Holman. Bobby’s brother Ralph Holman will be the pilot for the new truck. Much anticipation surrounds the debut of the new concept truck, Chalkboard Chuck. Family Events and Team Beast have been working with a company that produces a special “chalkboard” textured paint. The top of the fiberglass body will be vinyl wrapped with the Chalkboard Chuck design, while the bottom will feature the chalkboard paint, allowing fans to write on the side of the truck during the Pit Party and see their designs as the truck competes in the show. The designs can then be erased, leaving a blank slate for the next group of fans to decorate for the next show. Dave Radzierez will be the driver of Chalkboard Chuck for the Monster Nationals season as he follows the tour displaying his Airdog Diesel monster truck. The 2011 season will also see a new rookie driver for the team as newcomer Jeff Hatten replaces former Team Beast driver Shane Smith behind the wheel of Ironman. 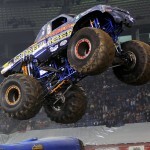 Bobby Holman will be back in the Lucas Oil Stabilizer, gunning for the 2011 Monster Nationals championship. 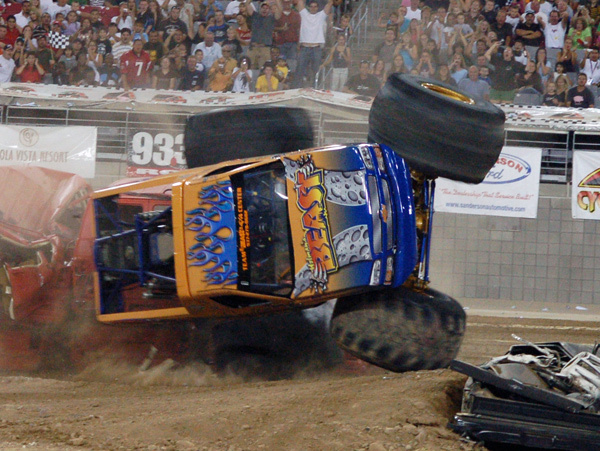 Holman finishes a wild freestyle by putting the Beast on its lid at the 2006 AMP event at University of Phoenix Stadium. 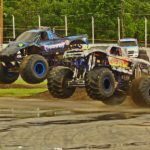 The entire team has also been invited to participate on the entire 4 Wheel Jamboree Nationals tour in 2011 taking on the likes of Hall Brothers Racing, Team Scream and the Crushstation “Monstah Lobstah”. 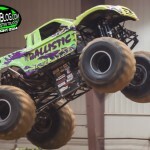 After running a couple of the Jamborees in 2010, Holman will also be gunning to try and be the one to finally break the stranglehold that Hall Brothers Racing has has on the Monster Truck Thunder Drags title for the last 10 years or so. TMB thanks Bobby Holman for taking a few moments out of Team Beast’s first quarter preparation to share some details on all they’ve got going on. Stay tuned for the unveiling of Star Marshall and Chalkboard Chuck and also be watching for an all new website for Team Beast that is currently in development and expected to be released in the coming weeks.